Can the police search my car after pulling me over for driving while impaired in North Carolina? Under the United States and North Carolina constitutions, you are protected against unreasonable searches and seizures. In general, this means that the police must obtain a search warrant before searching your vehicle. However, there are exceptions to this rule when a police officer stops you for driving while impaired (DWI) in North Carolina. 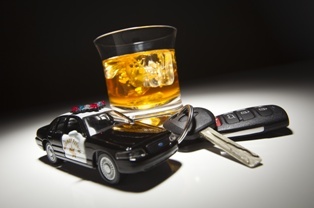 When Can the Police Search Your Vehicle Without a Search Warrant When Stopping You for DWI? Probable cause. If the police have probable cause to believe that you are participating in criminal activity or that there is evidence of a crime in your vehicle, they can search your vehicle without a warrant. Examples of probable cause include seeing something in plain view, such as a gun or drugs, smelling marijuana or alcohol in your vehicle, or observing your bloodshot eyes or an odor of alcohol. Searches incident to your arrest. The police may be allowed to search your vehicle incident to your arrest to look for guns or other evidence relating to your arrest. Consent. If you consent to the search of your vehicle, the police would be permitted to do so. You should not consent to the search of your vehicle as you would be waiving your right to challenge the search if evidence is found that can be used against you. Your refusal to permit a search without a search warrant cannot be used against you later in court. If the police stop you, remain calm and polite. You should stop your vehicle, roll down the window, and put your hands on your steering wheel where they are in plain view. You should also say as little as possible while answering the officer’s basic questions. Have you been arrested for DWI in Mecklenburg County? Our experienced DWI defense attorneys are here to answer your questions and help you build a strong defense to the charges that you face. Fill out our online form or call our Charlotte office to schedule your free initial consultation.